Consider your website as the online “face of the company”, stimulating the success of your business. Establish credibility with an accessible, functional and attractive website design. Outsite The Box is an integrated branding and website design agency based in Mississauga. We create unique and distinctive website designs that your customers will admire and your competitors will envy. We have a team of savvy developers that are ready to put together a beautiful website design for your business. We understand that some clients do not know what is best for their business, which is where Outsite The Box’s consultants come into play. 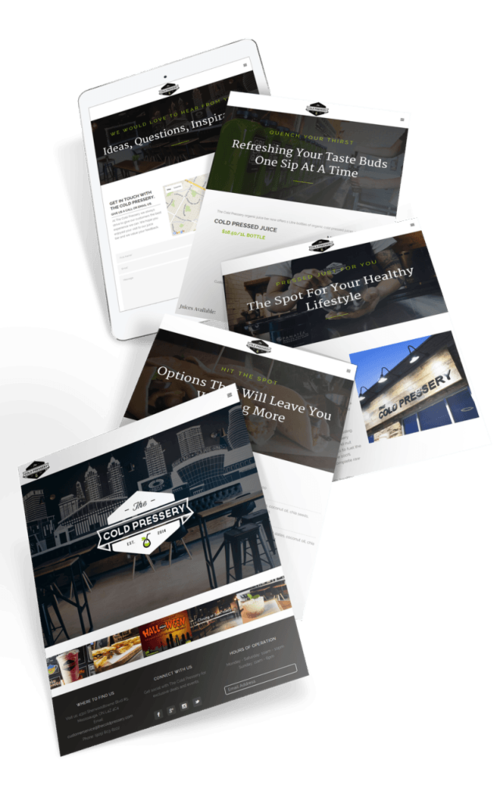 We walk you through the basic do’s and don’ts of the website design world, show you examples of your competition and tell you what to look for in a great website design. The impression that we leave behind for every business is always outstanding; it’s simply outside the box. During the consultation phase we go through your needs and wants, and give you the best options for what you are trying to portray. Your website design should be “in-line” with the rest of your branding. With the branding specialists at Outsite The Box, that’s exactly what we do. We also managed hosting services for clients who require monthly maintenance and upkeep which includes software updates, backups, security checks as well as optimization. Outsite The Box website designs are all mobile friendly. More and more content on the internet is being accessed over mobile devices such as smart phones and tablets. Our responsive website designs will auto adjust to fit any screen on any mobile device, allowing you to focus on the message, and not the medium. Essentially, your website design looks great everywhere! A great website design is just the beginning. Through collaboration with our clients we aim to understand their business to regularly improve their organic SEO growth. Synchronize communication with Facebook and Twitter. We make sharing content easy, across social networks with integrated tools on your website. Ready for a free consultation? Let’s sit down and discuss the nitty gritty. We want to get to know your company. Your mission, vision and goals for your brand. Through our initial discovery meeting, our team will gain a better understanding of the overall big picture of your business to create a custom strategy. Where are we going with this? How do we take this to the next level? Our team will create a roadmap to get there. We will ensure we’re on the same page throughout this process and build out the map to get to your destination. Now that we know you better, it’s time to put this plan into action. It’s time to do what we do best. We execute our work proficiently and diligently to manifest your vision to life. Through every step of the way, we utilize our expertise and resources to implement your strategy.